In the City of Drun it is considered good form not to stand out from the crowd and individuality is not encouraged. 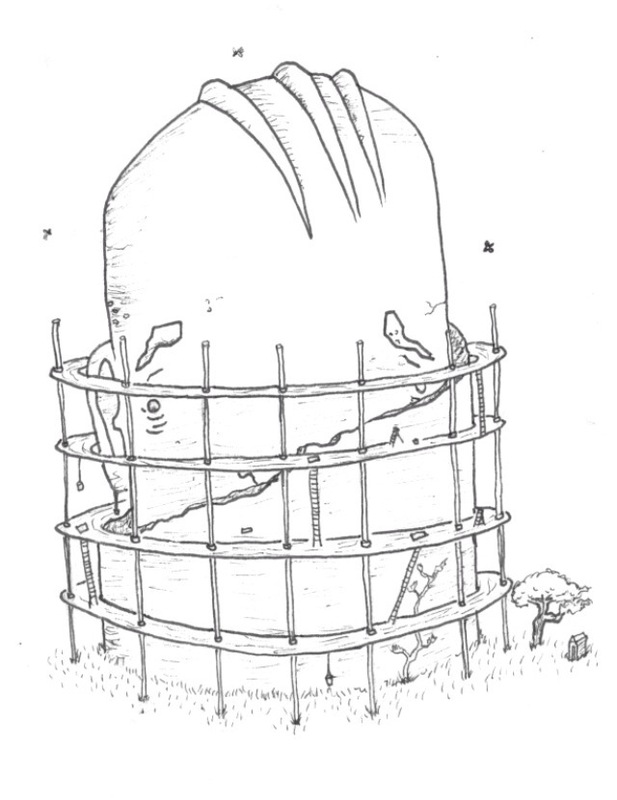 In order to celebrate the mundane, the colossal Norm Towers were commissioned by Mayor Bogn. 8 citizens were nominated by their fellow townsfolk for exemplifying what it is to be ordinary and designs were drawn up for their likenesses to be carved into rock. During their construction, a well-meaning traveller commented on how “extraordinary” the structures were, while he was within earshot of the mayor. The mayor immediately ordered that work on the structures be halted, as well as his own execution and those of the 8 paragons of Bland. Needless to say, I regret deeply what happened in Drun and will choose my words more carefully in future. This entry was posted in Uncategorized and tagged Drun, Monolith, Monument, Norm, Normal, Ordinary, Statue, Tower. Bookmark the permalink.